Mike Ritland was born in Waterloo, IA and served 12 years as a US Navy SEAL. He saw action in Operation IRAQI Freedom and numerous special operations missions. A nearby marine mission in particular, had a detailed account of an explosive-detector dog alert to a grenade booby trap hidden in a doorway, saving the lives of the Marines assigned to the mission. Ritland then instantly knew that he wanted to work with similar dogs and harness their remarkable abilities to defeat the tools of modern warfare. Due to that inspiration, Ritland became a Navy SEAL Multi-purpose canine trainer. Mike served as Naval Special Warfare Multi-Purpose Canine (MPC) Trainer for the West Coast. After his service, Mike Ritland founded Trikos International, which specializes in providing working K9s to a multitude of clients. He now has over 15 years experience in importing, breeding, raising, and training multiple breeds of working dogs. With his unique training approach, Ritland has trained thousands of working dogs for real-world applications. Police Departments across the U.S.
Mike Ritland also founded the Warrior Dog Foundation, a non-profit special operations K9 retirement foundation. The Warrior Dog Foundation is dedicated to serving working military K9s, the special operations community, and their families. With the Foundation’s state of the art kennel facility, these dogs are given the opportunity to live out the rest of their lives with the dignity and grace they deserve. The Warrior Dogs are attended to with heartfelt compassion administering to their mental and physical rehabilitation for the rest of their lives. All of this experience prompted Mike Ritland to write three New York Times Best Selling books: Trident K9 Warriors, Navy SEAL Dogs and TEAM Dog. In addition to his novels, Ritland also has been featured in numerous other publications such as Town & Country, Police K9 Magazine, K9 Cop Magazine, Working Dog Magazine, SOFREP, the Washington Post, the Huffington Post, NYPOST, Men’s Journal, Cesar’s Way, Texas Monthly, and a Reddit AMA. His expertise has earned Ritland the role of keynote speaker for Purdue University’s Discovery Lecture Series, for Bucknell University, and for various schools for children of all ages across the United States. Conferences across the country have also asked him to present, including Stansberry Conference Series, ESA Security Conference, HITS Training Conference, Police K9 Magazine Conference, K9 Cop Magazine Conference, Working Dog Magazine Conference, California Narcotic Canine Association, and IaAWP Iowa Association of Women Police. Mike Ritland is not only an accomplished author and speaker, but he has been interviewed by dozens of media affiliates, including ABC, CBS 60-Minutes, CBS 60-Minutes Overtime, CBS This Morning, C-SPAN, C-SPAN2 BOOKTV, Fox News, Fox News Videos, Fox and Friends, NBC, and PBS. Ritland also has numerous appearances on podcasts, such as The Marilu Henner Show, iHeart RADIO, ITS Tactical, and Team Never Quit. With his respectable knowledge of all things canine, Mike Ritland has been asked to work with and/or consult with various pet companies like Dogtra, KONG, Oma’s Pride Raw Dog Food, and TEFCO. It’s not all work and no play, for Ritland, though. He and his personal K9, Rico, collaborated with the Xbox crew to create Call of Duty: Ghosts. The video game brings lifelike characters and immersive worlds together on a new, next-generation engine. The dog in Call of Duty works together with his team to fulfill missions. Rico has become quite the star himself. Biting books to sign them and even having a action figure made in his likeness. 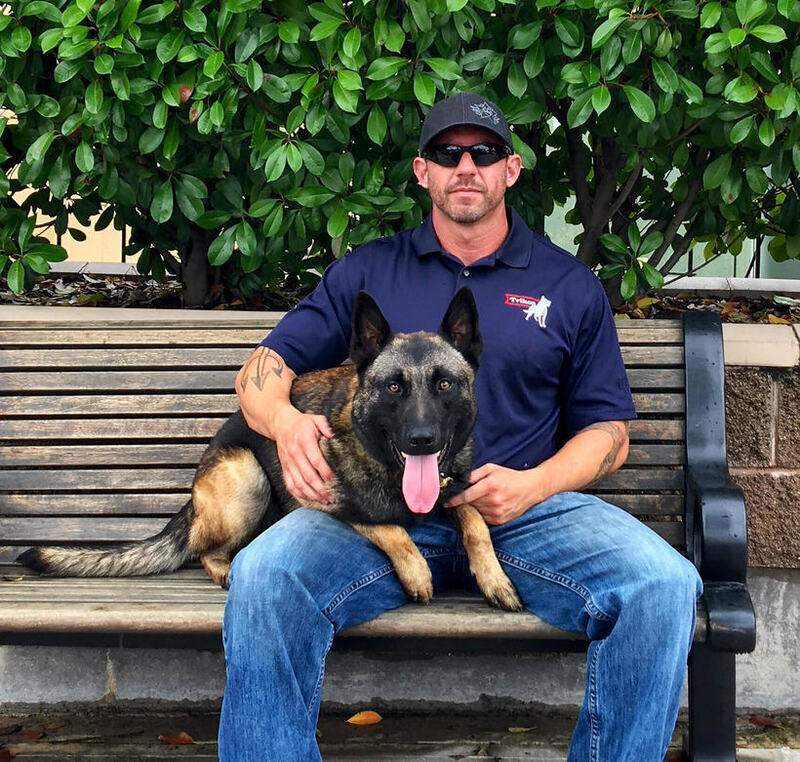 Mike Ritland currently resides in Dallas, Texas and dedicates his time daily to working with his K9s at Trikos International and the Warrior Dog Foundation. When he is not traveling on business, he enjoys spending quality time with each of his dogs, staying fit, playing guitar and perfecting the art of BBQ.